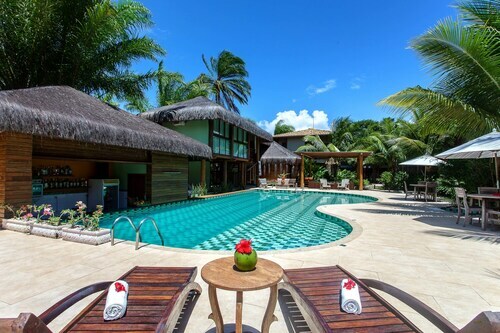 Get immediate savings by booking an Itacare travel package. Just select your favorite options and let Expedia take care of the rest. Our impressive international database offers more than 321,000 properties worldwide and 400 partner airlines. With such a great range of options, planning your dream vacation will be easy! Preparing to embark on your Itacare vacation? Can't decide what things to include in your travel program? No need to stress — we're here to give you some hints. Few things are more refreshing than the sounds of waves lapping at a shoreline. Roll out a picnic rug, lie back and let the soothing melodies wash over you at Prainha Beach. There's a great range of things to do in this destination. From little sea creatures to strangely shaped driftwood, there are all manner of gems strewn along a shoreline. Why go for a walk and see what you can collect at Ribeira Beach? Still have some time to spare? Wanting to impress your sweetheart? Take them for a stroll along the shoreline at Costa Beach. 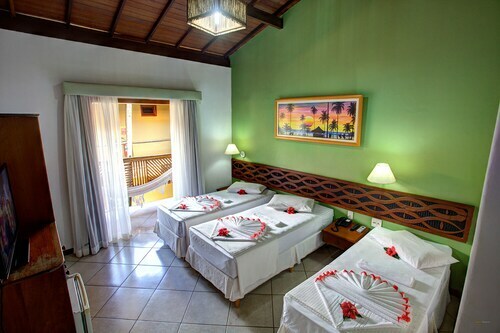 After a massive day of seeing the sights in Itacare, have a rest in one of 31 accommodations. The best cheap vacations and luxury getaways are just the beginning at Expedia. Begin your vacation on an extravagant note by sliding between the soft sheets at the Vila Barracuda Boutique Hotel (Rua Joao Coutinho, 55). Alternatively, the Pousada Sage Point (Praia da Tiririca, 65) is a great place for the cost-conscious traveler to spend their nights. 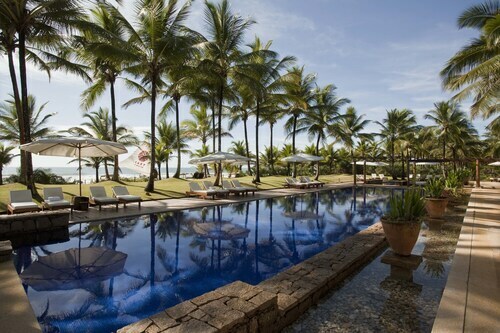 Based just 35 miles (56 km) away, Ilheus Airport (IOS) is the closest terminal to your destination. Check that your seat belt is buckled and switch off that in-flight movie — your exciting trip to Itacare is just about to begin! This family-friendly Itacare hotel is located by the ocean, within a 10-minute walk of Coroinha Beach, R. Pedro Longo, and Itacare Wharf. Pontal Beach and Concha Beach are also within 15 minutes. 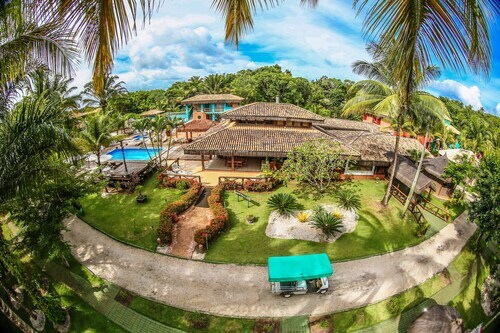 Offering direct access to the beach, this Itacare hotel is 3.6 mi (5.8 km) from Engenhoca Beach and within 12 mi (20 km) of Jeribucacu Beach and Resende Beach. Tiririca Beach and Costa Beach are also within 16 mi (25 km). Offering direct access to the beach, this Itacare pousada is in the entertainment district, steps from Concha Beach and Pontal Beach. Coroinha Beach and Resende Beach are also within 15 minutes. 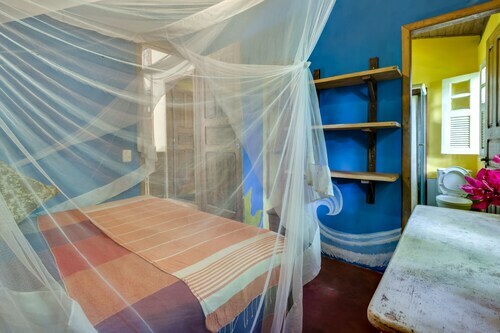 Situated in Itacare, this pousada is within a 10-minute walk of Concha Beach, Pontal Beach, and R. Pedro Longo. Coroinha Beach and Resende Beach are also within 15 minutes. 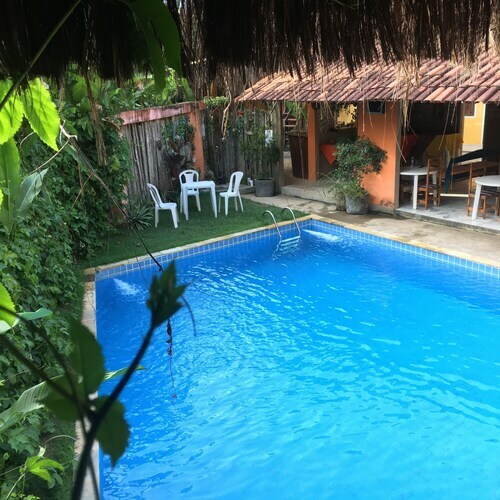 Situated by the ocean, this hostel is within a 5-minute walk of Coroinha Beach, Pontal Beach, and Concha Beach. R. Pedro Longo and Itacare Wharf are also within 15 minutes. This family-friendly Itacare pousada is located near the beach, within a 10-minute walk of R. Pedro Longo, Concha Beach, and Resende Beach. Pontal Beach and Coroinha Beach are also within 10 minutes. 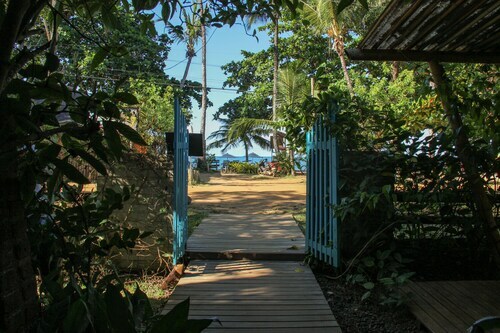 Offering direct access to the beach, this Itacare pousada is within a 5-minute walk of Concha Beach and Pontal Beach. Coroinha Beach and Resende Beach are also within 15 minutes. 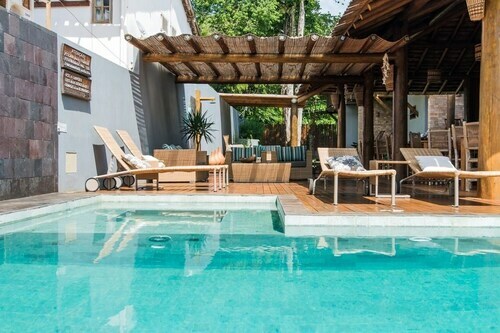 This family-friendly Itacare pousada is located near the beach, within a 5-minute walk of Coroinha Beach and R. Pedro Longo. Pontal Beach and Concha Beach are also within 15 minutes. Tue., 20 Aug. - Thu., 17 Oct. Mon., 26 Aug. - Mon., 14 Oct.